In today’s episode, Jennifer McGuire, Kristina Werner and Lydia Fiedler have their “second date” with the owner of Hero Arts, Aaron Leventhal, and chat about the “craftquakes” – big events that impact the craft industry in unforseeable ways. CKU – Creating Keepsakes University, now CKC. Hero Arts very first video with silent film star Jennifer McGuire. 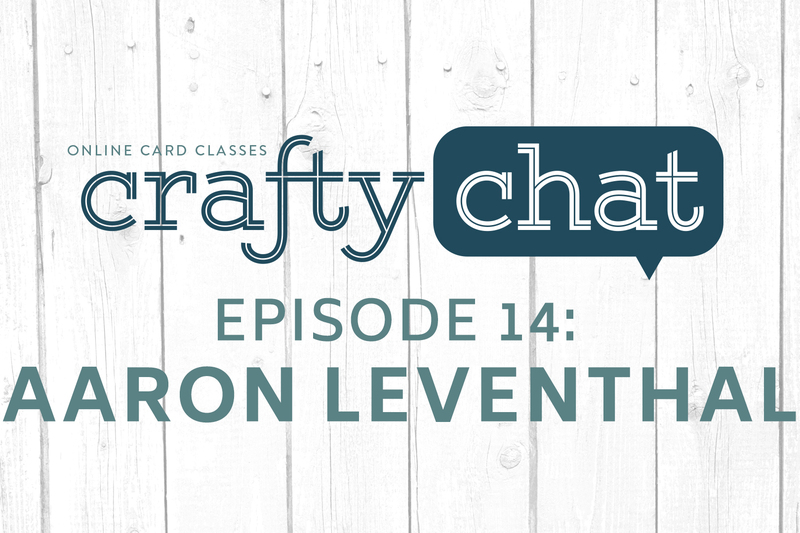 Got a topic or a person you’d like to see on a future Crafty Chat? Leave us a comment! Videos. Love both of you ladies! I thoroughly enjoy these chats. Hero Arts was my first stamp purchase in wood and then in clear. I ordered directly from the company and was so excited to receive my new stamps. The first clear stamp set was cupcakes, probably in 2006 and even though I have many birthday cupcake stamps and dies, this one is reached for the most. Love the woodgrain background stamp also. It was my first background purchase I ever made and still use that stamp. Thanks for sharing the wonderful information about the changes in the industry. Love you Jennifer and Kristina! I have so enjoyed these chats and learned so much and its so true. I started with scrapbooking in the late nineties with my daughter because she had gone to a creative circle or something. Then I found two peas in a bucket! Thats when I really went to town. I still have life long friends and have met up with them and also traveled to Mall Of America Scrapfest from Walla Walla WA all by myself and got to meet everyone in our group on two peas! Sure miss that. I never stamped and now all i do is cards for donation ect and I never thought I could do a card. Still working on it. LOL . Thank you for the education. Totally enjoyed listening to this chat. I may be showing my age (actually no maybe about it) but I would love to see the number of releases slow down. When many of the companies have a new release each month it becomes a little overwhelming. “Sometimes more is not better it’s just more.” Just my thoughts. Much much appreciation to all who work in this industry. I have learned so much watching your videos… thank you for your time, talent and energy. Oh the Haiku Bunny – I have that stamp – it’s lovely!